The above info came from Ayumi, and was edited by yours truly (contact me). The image came from Yu-Gi-Oh! Quarters. Rebecca is mad at Yugi because she thinks that Solomon Mutou stole her grandfather's card while they were trapped in a Egyptian tomb together. What really happened was that there was only a little water left, and Solomon challenged her grandfather, Arthur Hawkins, to a duel for it. Solomon was just about to win when he realized how dehydrated Arthur was, and so Solomon surrendered. As Yugi and Rebecca were dueling, they both drew exactly the same cards that Solomon and Arthur did. When Yugi drew the card that could finish Rebecca off, he surrenders. Arthur then comes in and backs up Solomon's story, explaining that he gave the Blue-Eyes White Dragon to Solomon as a sign of their friendship. Solomon then apologizes to Arthur for the card being ripped. Yugi and Rebecca now also have a card that shows their friendship for one another, a 'Ties of Friendship' card. In a future point in time, Rebecca will return to the anime (after Battle City has concluded), and she will help to save the world from the Orichalcos Soldiers which threaten its existence. I believe she and Duke Devlin challenge Varon (future villain) to a duel in order to win back Yugi's soul (which was sealed by the Orichalcos earlier). After that saga has concluded and Dartz ("ultimate villain" in this saga) has been defeated by Yami, Kaiba will host yet another tournament, the KC Grand Prix, in which Rebecca will compete in. The above description came from Brodie and Pkspiral7, and was edited by yours truly (contact me). Rebecca is the granddaughter of Arthur Hopkins, a professor who was friends with Yugi's grandfather, Sugoruku, years ago while exploring the ancient Egyptian ruins. Arthur had given Sugoruku his Blue-Eyes White Dragon card as a symbol of their friendship, but Rebecca is under the assumption that the card was stolen from her grandfather. 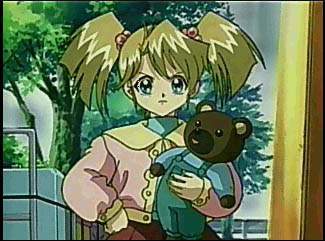 After Duelist Kingdom, she meets up Yugi, Sugoruku, and the others demanding the return of the card. However, upon learning of the card's damage done by Seto Kaiba, she angrily challenges Sugoruku to a duel. Yugi steps in to duel her instead. 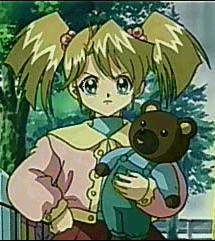 Rebecca is an American dueling prodigy who gives Yugi problems during their duel. But when he is about to win, he forfeits the duel. Eventually, Rebecca learns from her grandfather about the circumstances of the card, and she becomes friends with Yugi as he gives her a "Ties of Friendship" card as a symbol of friendship. However, it appears that friendship later turns into a crush as Yugi later meets Rebecca during the DOOM arc as Rebecca refers to him as 'darling' and is constantly hanging around him wherever he goes causing Anzu to get very jealous. She even grows angry over Yami Yugi upon learning that Yugi's soul is taken by DOOM to feed to the Orichalos god. After the DOOM conflict, Seto Kaiba has Yugi be the opponent for the winner of the KC Grand Prix tournament he has planned. Rebecca enters the tournament hoping to be able to duel Yugi again, but she loses in the second round. We last see her give a goodbye hug to Yugi as he departs from America, and a final humorous scene of Anzu's jealousy being shown as she breaks up the hug Rebecca gives to Yugi. The above description came from Ggultra2764, and was edited by yours truly (contact me).